2. Listen: the celestial messengers produce harmonious sounds. 4. Small municipality in Judaea southeast of Jerusalem. 5. Exalted heavenly beings we have perceived by our auditory mechanism. 6. Diminutive masculine master of skin-covered percussionistic cylinder. 7. May the Omnipotent Supreme Being grant you respite, ecstatic personages of the male gender. 8. Proceed forth declaring upon a specific geological alpine formation. 9. The neuter third person pronoun sounded at the beginning of the unobscured third watch. 10. In awe of the nocturnal timespan characterized by religiosity. What was your score? 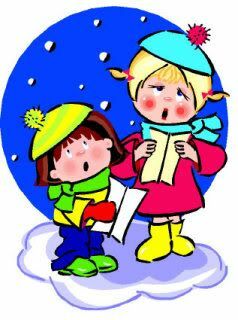 You can have a lot of fun with these funny Christmas songs at your Christmas parties or church functions this year. Christmas humor will light up your holiday season! Have a very Merry Christmas!